HP350-G Series Background Suppression Photoelectric Sensors. 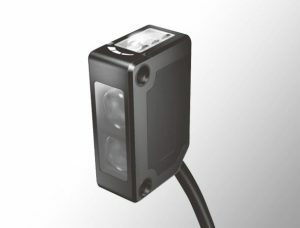 The HP350-G background suppression sensor (self-contained photoelectric) is a distance specific and suppresses influence from backgrounds such as aluminum or stainless steel. The unit also suppresses influence from target color variations and uses a red light to produce a clearly visible spot. A click-action six revolution potentiometer and small differential enables high refinement and reliable thickness detection.